This course is designed for SAS Enterprise Guide users who want to perform statistical analyses. The course is written for SAS Enterprise Guide 7.1 along with SAS 9.4, but students with previous SAS Enterprise Guide versions will also get value from this course. 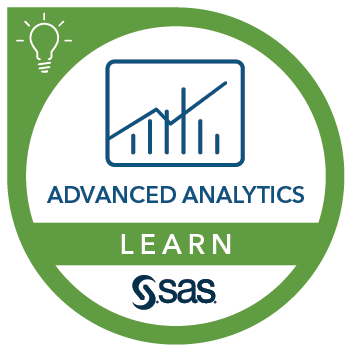 An e-course is also available for SAS Enterprise Guide 5.1 and SAS Enterprise Guide 4.3.
fit a multiple logistic regression model. be able to perform analyses and create data sets with SAS Enterprise Guide software. You can gain this experience by completing the SAS® Enterprise Guide® 1: Querying and Reporting course. This course addresses SAS Enterprise Guide, SAS/STAT, SAS Analytics Pro software. This course also addresses Base SAS software and touches on SAS/GRAPH and SAS/STAT software. You benefit from this course even if SAS/GRAPH software is not installed at your location. Stacey Syphus describes this course.